It is not for nothing that the website rapgenius.com, with its mission of elaborating the lyrics of modern rap music, dedicates space on its site to presenting the entire text of Four Quartets by T.S. Eliot, whose persona of buttoned-down English classicism would appear to be about as far removed from rap music as Othello is from modern television sitcoms. 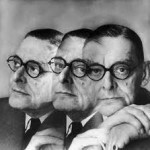 But appearances deceive, and to read this Eliot masterpiece some 75 years after its publication is to enter a zone of rhythmic drive and momentum that almost begs for interpretation by a rap artist. Accompanying the sustained rhythm of the four poems that make up the Quartets is dead-serious imagery of the modern psyche under assault by time, the ravages of history, and the diminution of traditional religious faith. The result is a work of unparalleled power and enduring relevance for our age.